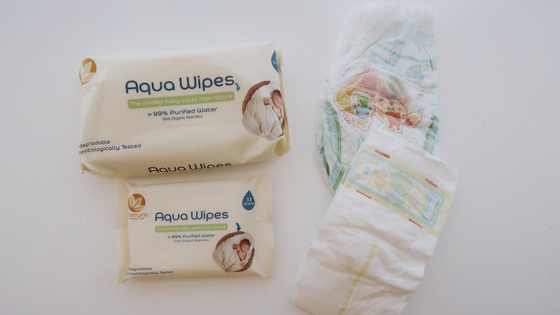 If you’ve been following me a while, you will know what a big fan of water based wipes I am. 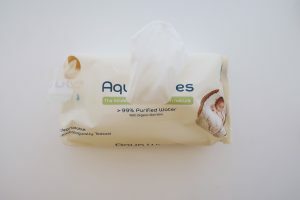 So when I was contacted by Aqua Wipes and asked if I wanted to try some out, I thought why not? Aqua Wipes are over 99% purified water and aloe vera, and the best thing about them is that they’re biodegradable! We have been using them for a few weeks now, and I definitely have enjoyed using them. 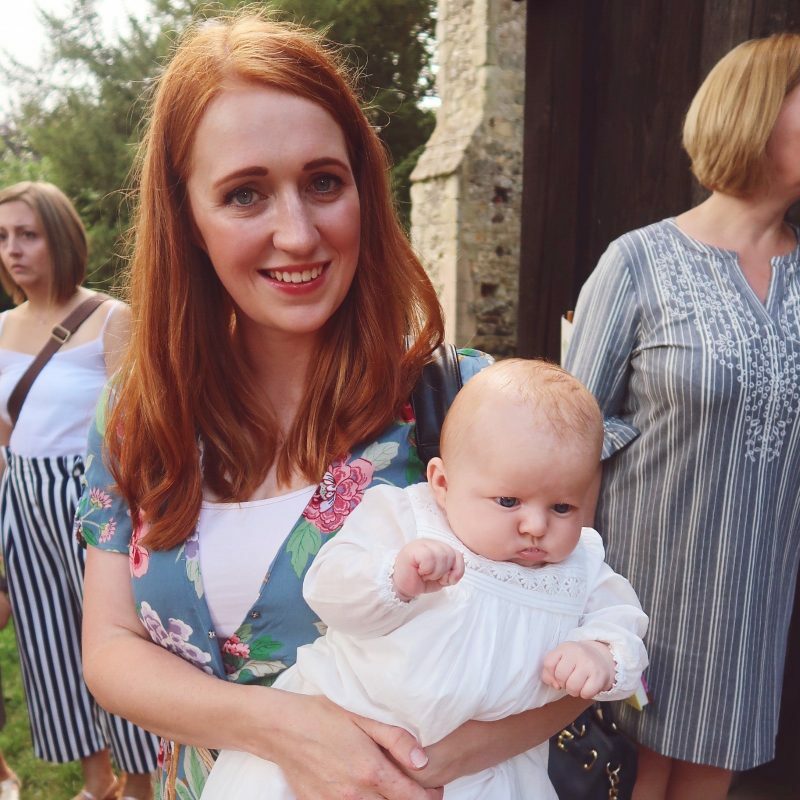 They are so easy to get out of the packet (I’m sure that is the number one priority with wipes….well other than getting poo off your babies bums!). And they easily came out one at a time. 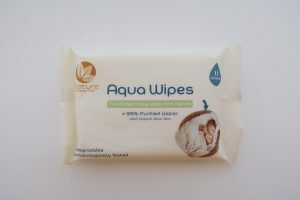 Aqua Wipes are a good size and thickness, they aren’t too thick and they’re not too thin. The wipes are lovely and soft and have a nice scent to them. They aren’t too wet, but are wet enough to get the job done. I usually found I only needed 2 wipes to clean up a normal number two, 3 if it was an explosion! I thought that this was great as some other brands you could end up using a lot more. The fact that Aqua Wipes are biodegradeable, is a huge selling point for me. There is a lot of hype around plastic waste at the moment and there has been some talk of removing wipes from the market altogether due to the fact that they don’t biodegrade. Hopefully this is a shift that a lot of brands will hopefully take on in the future. I also love that they do the standard size pack of 64 wipes and they also do a handy pack of 12 wipes. The handy pack perfect to put in the front pocket of my bag ready to wipe up any messy faces! These wipes are perfect for use with a newborn, as an alternative to cotton wool and water. As anyone who has tried to clean a babies bottom with this knows what a pain it is! They would be perfect to pop in your hospital bag as they have no nasty chemicals in. So you know that you aren’t putting anything nasty on your babies bottom. *I was sent the wipes for the purpose of this review. All words and opinions are my own.